Halloween is a fantastic time to customise something unique for yourself, your kids or your loved ones. We have decorated a basic black witches hat, plain t-shirt and tote bag with a Trick or Treat embroidery and ScanNCut design that you can download for free! Plus, we have also used the Brother Persona PRS100 to add some extra embroidery designs from Urban Threads and John Deer’s Ultimate Stash. The free-arm embroidery machines, including the PRS100, PR670e and the PR1050X are ideal for projects like this where you need to embroider hard to reach or small areas. We have also used the Echidna Hooping stations to get the perfect placement for our embroidery. These hooping stations can be used for all hooping projects large or small. If you have a standard embroidery machine a great trick for embroidering those hard to reach areas is to hoop up a piece of stabiliser (Black or White cutaway) to your embroidery hoop. Now use some double sided tape to stick to the back of your project and onto the stabiliser to keep it in place. Place some Echidna Supersolv Topping on top and embroider a baste stitch around the embroidery hoop, which will secure your bottom stabiliser to your garment. 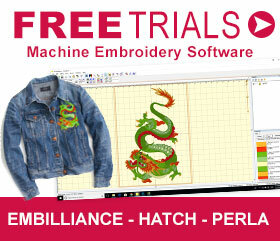 You can now embroider your designs with ease. You can either plug in the ScanNCut file directly into your ScanNCut machine or download the ScanNCut CanvasWorkspace file to alter the design online. We have flipped this ScanNCut file for use with the Flex Fabric Transfers and used a Teflon Applique Mat to place over the design while ironing it onto the front of our shirt. However, there are many more ways you can decorate your projects with the ScanNCut accessories available online, which is why the ScanNCut CanvasWorkspace is ideal for everyone! Customise your own Halloween Projects! Share what you’ve created this Halloween on our Echidna Sewing and Embroidery Facebook community to win some great prizes! 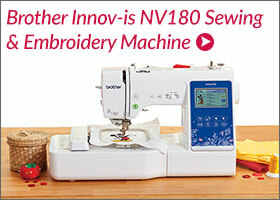 Interested in learning how to sew, quilt or embroider? 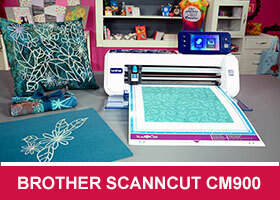 Take a look at the innovative Brother machines available for purchase at Echidna Sewing. Wherever possible we will beat any deal and you will always receive ongoing service and support! Check out the huge range of embroidery designs that we have available for purchase on our website from a number of professional digitizers such as Lindee Goodall, Morango, HoopSisters, Dawn Johnson, John Deer and much more! Come along to our fun-filled classes to learn more about sewing, embroidery and crafting. Classes cater for all skill levels, whether you’re just starting out or already have advanced knowledge.